Back by popular demand! 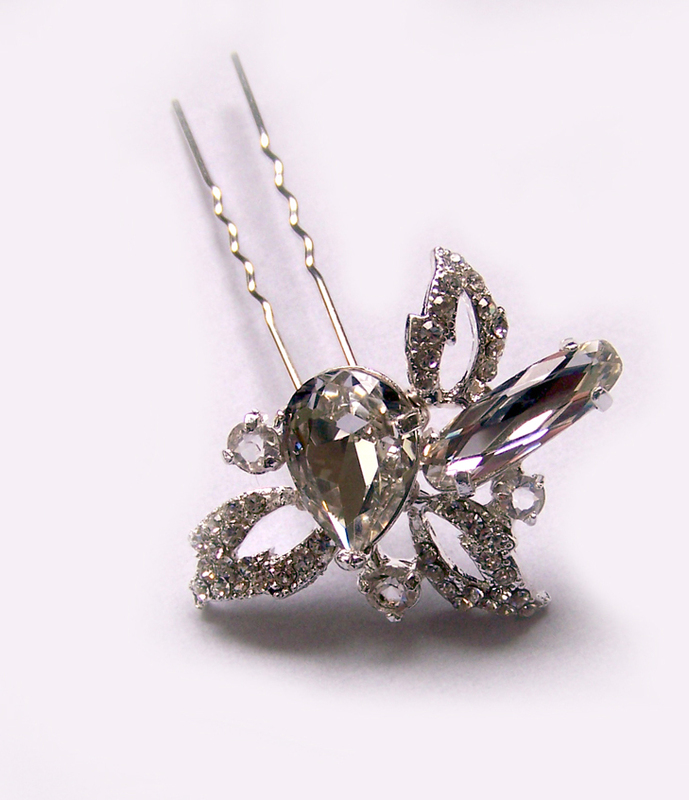 Found these sparkling flowers for necklaces and decided to make them into hair pins. 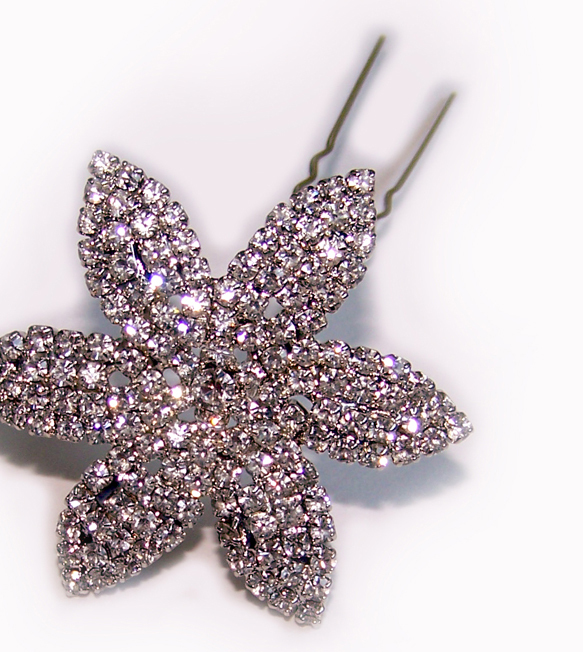 Made of all rhinestones, the flower has tiny openings in the middle, just enough for me to get wire through to attach it to a metal hair pin. It is approximately 1 7/8″ diameter and approximately 1/8″ thick – very well made and strong. 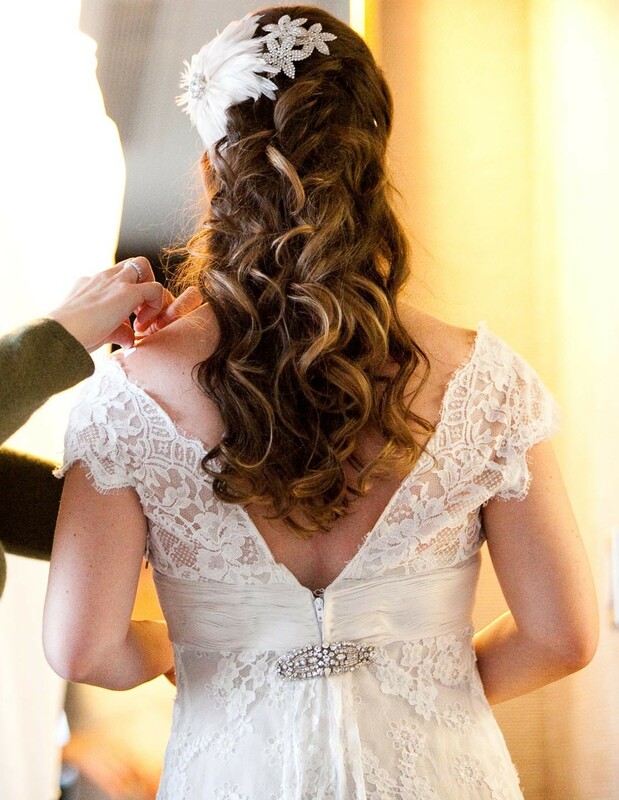 Wear one…or three like Etsy bride Jill on wedding day. 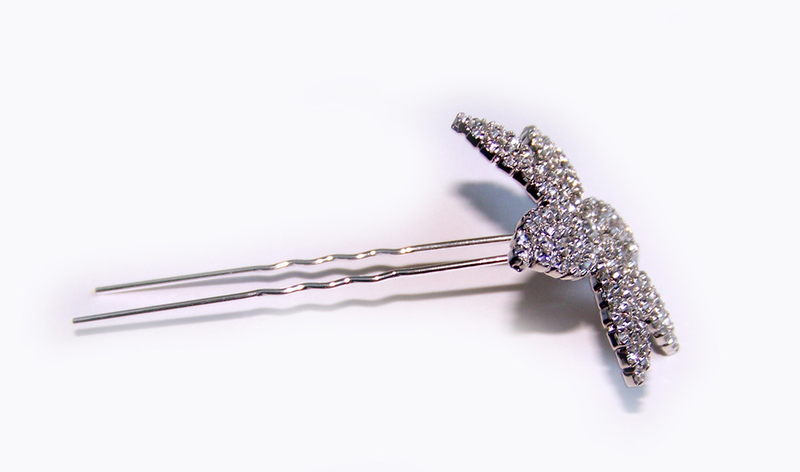 Each hairpin comes in an organza bag for easy gift giving. To order, visit my Etsy shop! Beautiful photos of Vanessa and Mike by Lilia Photography, hair by Armando Sarabia of Get Your Do Up. 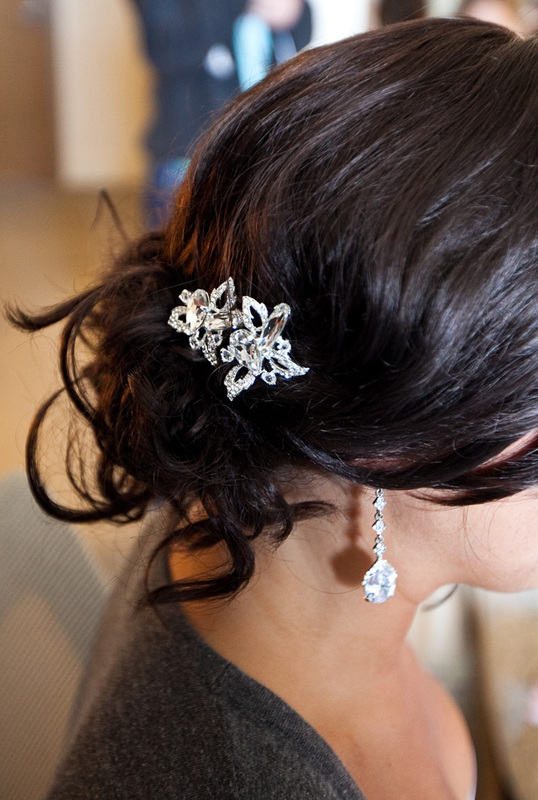 To compliment her hairpins, Vanessa choose to wear a beautiful pair of Teresa CZ Teardrop Earrings and a matching CZ Bracelet – contact One World Designs for pricing. The Engagement Party – Sunday, March 6th…You’re Invited! Come celebrate your engagement with an afternoon of great music, delicious food, hosted cocktails, games, prizes, wedding planning advice and much, much more! Catering and beverages hosted by Gunther’s Catering, live music by The Jesse Charles Band, wedding coordination and planning by A Joyous Occasion and many of the Bay Area’s finest wedding professionals. Some of the prizes include: Catered rehearsal dinner or party at your home or location of your choice, 4 hours professional wedding DJ services for your reception, and many more fabulous prizes. Only pre-registered guests will be eligible for prize drawings and contests.